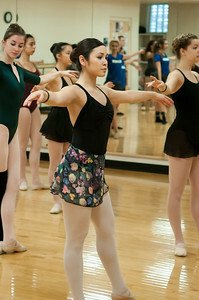 Mariela Navarro takes part in the Bailando master class. 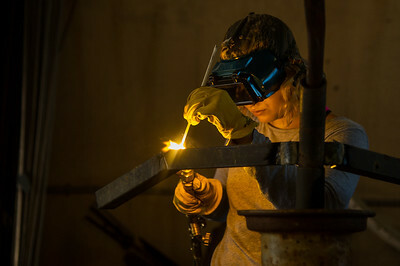 Student Rebeka Garcia fuses pieces of metal together to create a humanoid robot sculpture in Intermediate Sculpture. 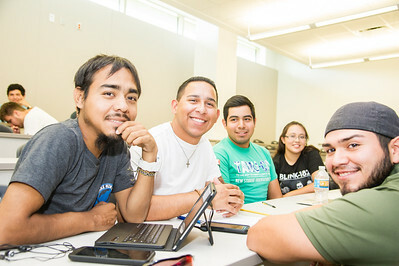 Students Jose Guerrro (Left), Jose Arrisula, Marco Graciani, Luis Gonzalez, and Luara Medina partner up to work on their public speaking project. 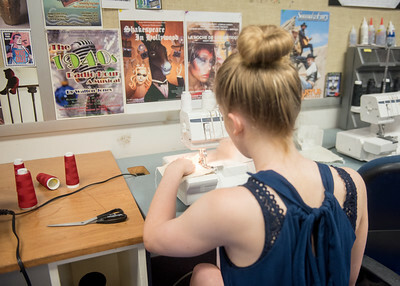 Molly White sews pieces of fabric together with a specific stitch for her Costume Construction class. 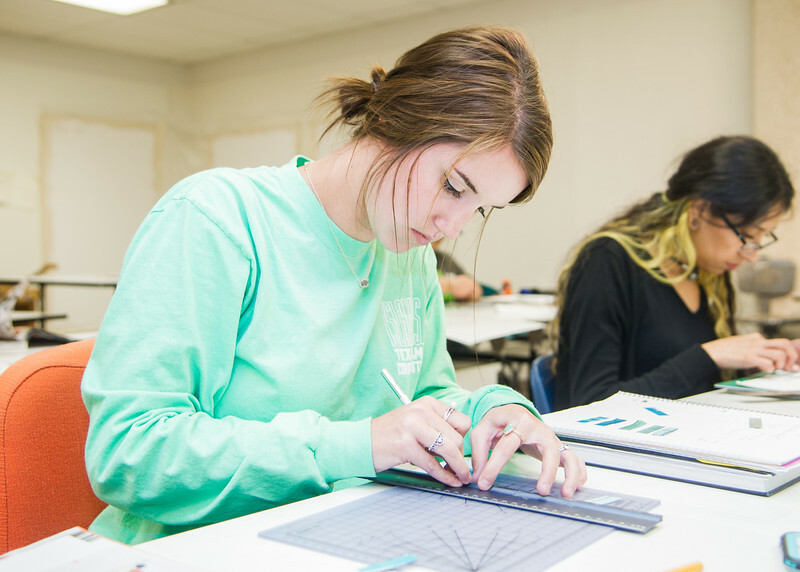 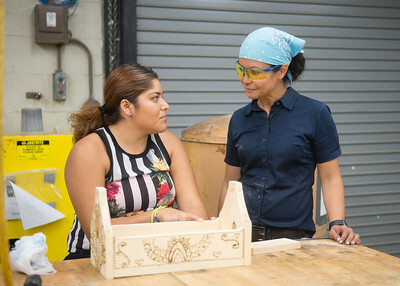 Student Samantha Sandoval asks Professor Leticia Bajuyo for advice on how to proceed with her project during Sculpture I.